The weather here is unusually beautiful for March. It is making cooking about the last thing I feel like doing. 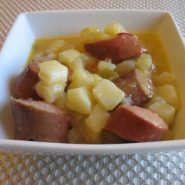 This is a quick, super easy recipe that even picky eaters enjoy and can be made ahead with just a few ingredients. Brandon got this recipe for me years ago from someone at work and it has become a family favorite. 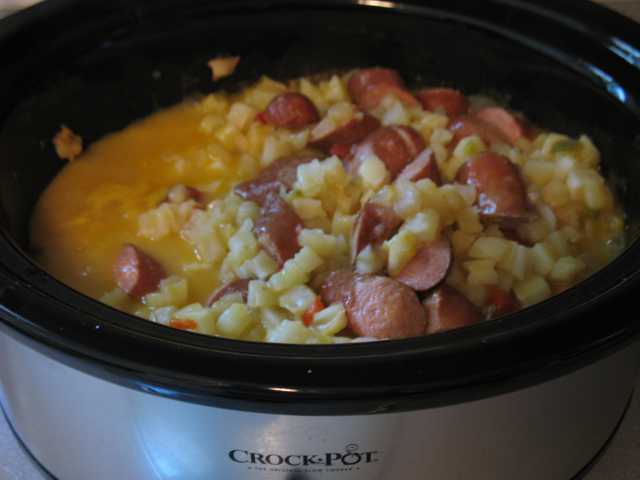 In the slow cooker, pour a layer of hashbrowns then add a layer of sausage or kielbasa then repeat with the hashbrowns, then meat and then cover with a layer of hashbrowns. In a bowl, whisk together soup and milk. I add the milk a little at a time until it become just fluid and not too thin. Pour the cheese mixture over the potato and meat. Cook on low for 7-8 hours. There are only 4 ingredients so it isn’t labor intensive to make, easy peazy! It is also very good the next day making the leftovers go quickly! It is just a good recipe for days when you don’t feel like cooking! 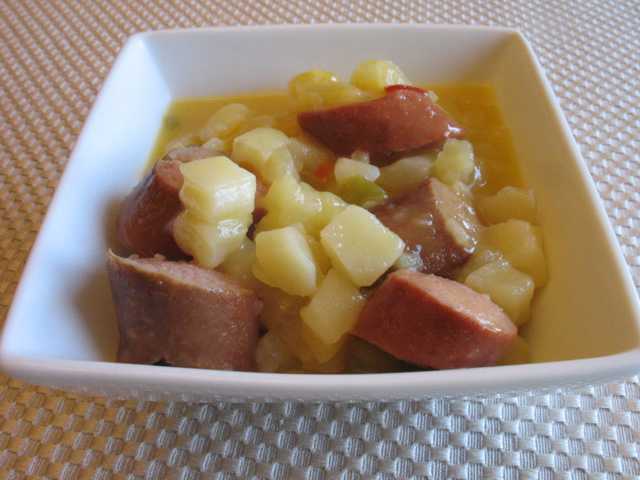 If you are a Weight Watcher’s member this recipe comes out to be 8 points+.